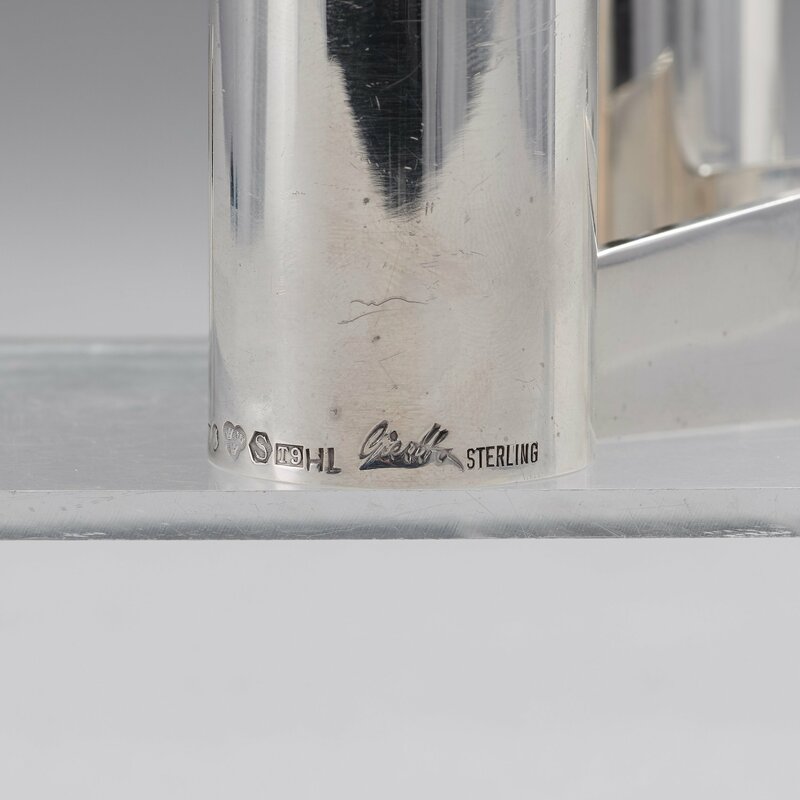 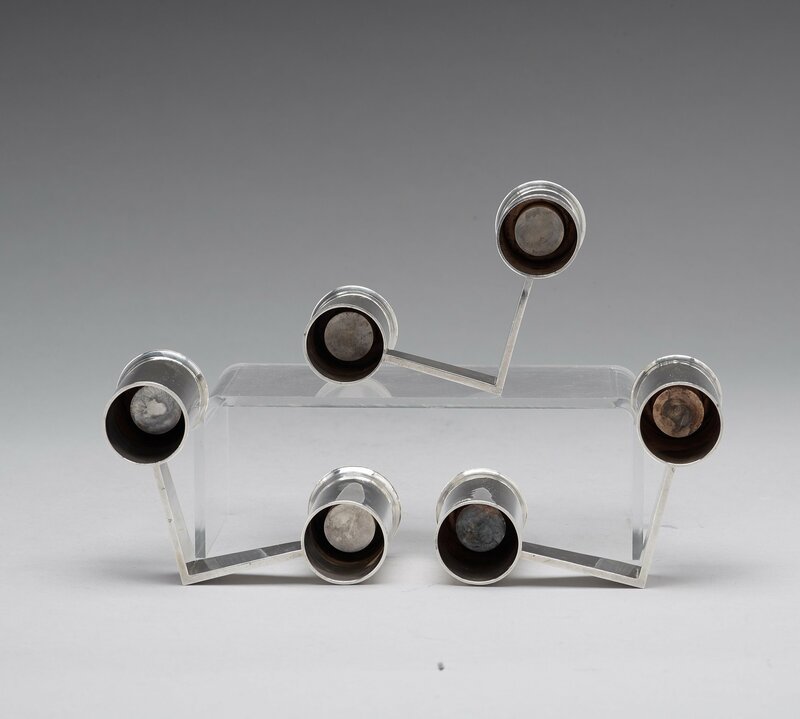 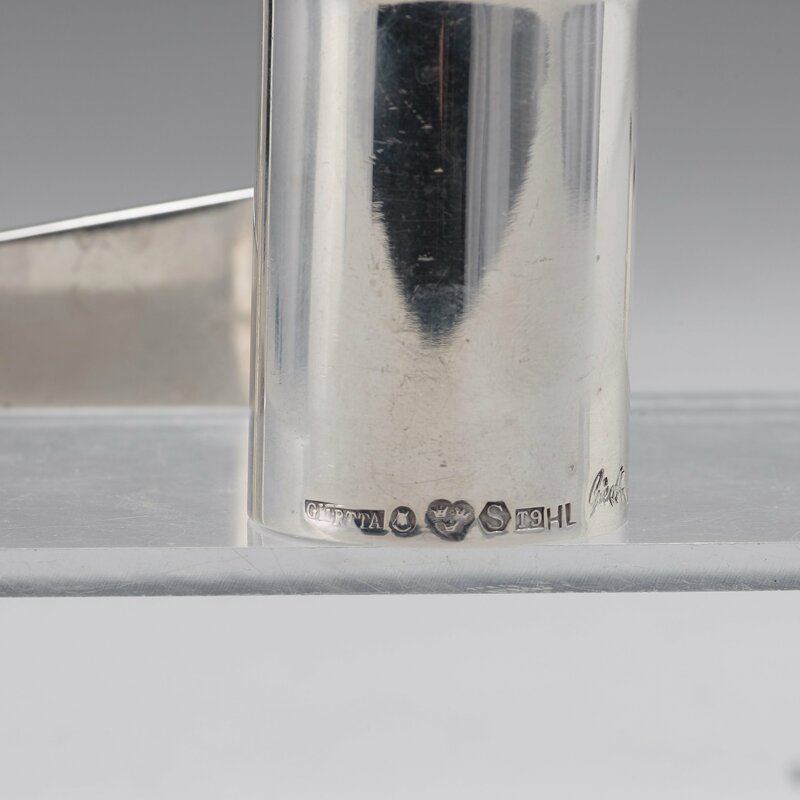 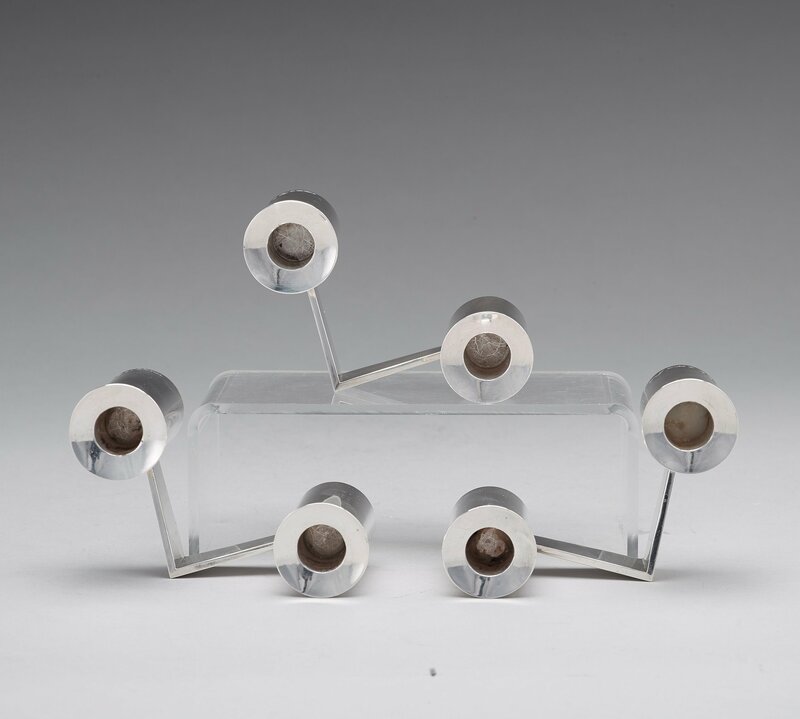 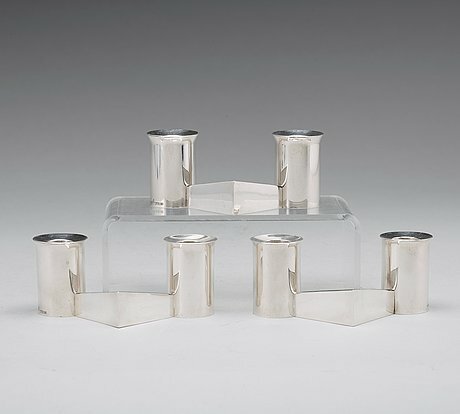 a set of three sterling candlesticks, Stockholm 1969. 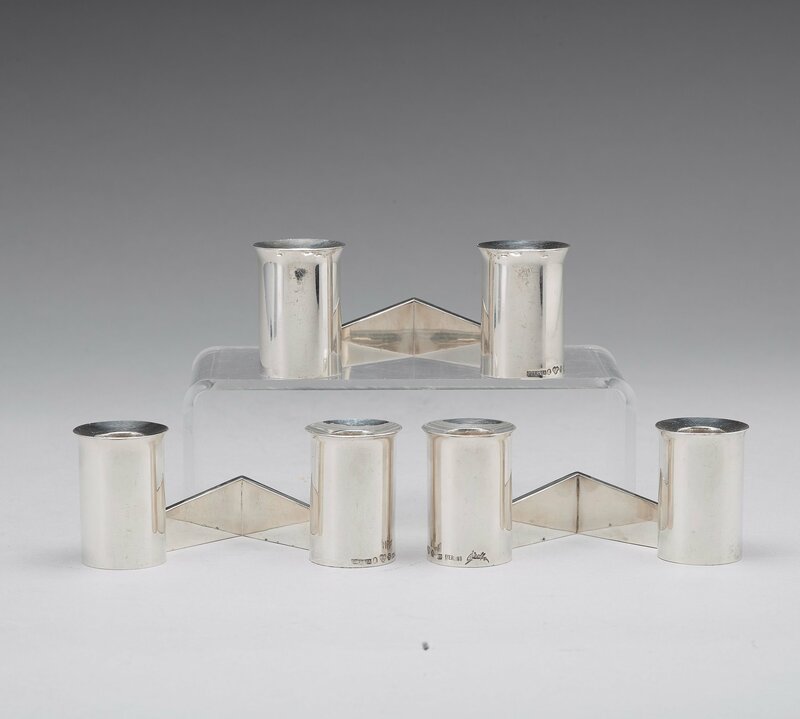 Each with two candle holders. Length 14 cm, height 6 cm, total weight 1050 g.